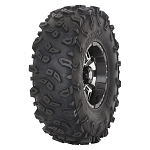 GBC Motorsports Performance ATV tires are built to get you over tough terrains to your destination. Dirt Commander, GBC's new all terrain tire, is a super tough 8-ply rated tire that gives you excellent puncture resistance. 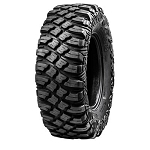 Its siped tread design also gives additional biting edges for better traction in all terrains. 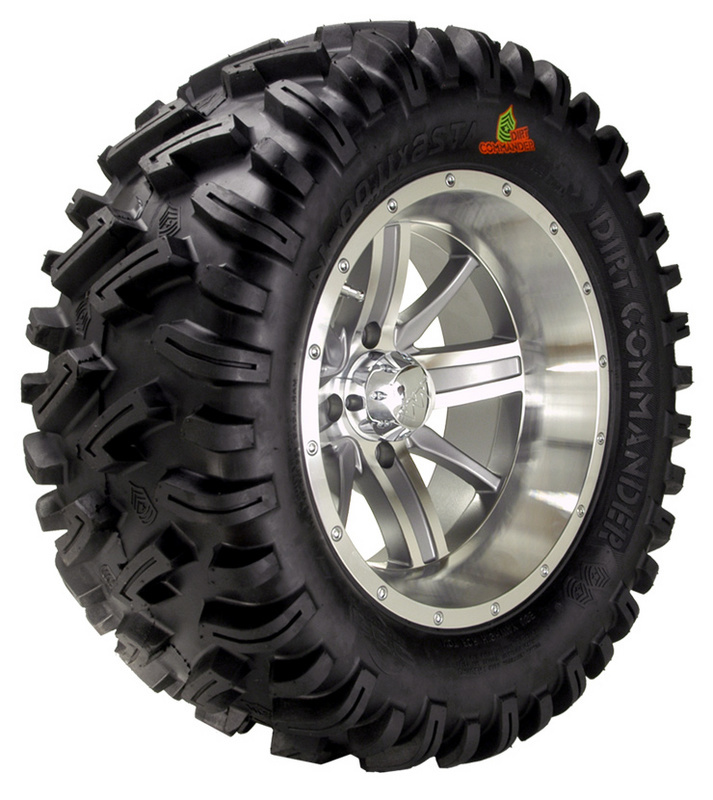 - GBC Dirt Commander tires are sold individually. - Our GBC tires generally ship out within 1 business day! I want to tell everybody if you have any questions about the tires you are thinking about buying contact the folks at Pure Offroad, THEY ARE THE BEST.The tires are great in Mud, Dry Dirt and All Sloppy and Hard Pack Conditions. The only place I am not sure about them is on real rocky conditions due to them being an 8 PLY Tire they ride a little real rough, on the other hand being an 8 PLY Tire they handle AWESOME at all speeds. The biggest meanest 8 ply tires you could ever want. If you have problems with tires getting flats, these tires will solve that. Excellent riding an handling too. These tires are amazing! We use them in the mud, sand, and on the highway, and they don't show any type of wear. It seems like road doesn't even wear the tires down. Purchased two sets of Dirt Commanders for my two KingQuads and couldn't be happier. They ride great for an 8ply tire and the performance is outstanding in all kinds of conditions. Will buy again when I need tires. I am running stock GBC Dirt Commander ATV Tires on my 2015 Polaris Rzr 900S. They seem to be a good all around tire. I was recently in the Black Hills (home of many sharp rocks) and ran a sharp one through the face of the rear left. I had a spare that got me back to camp. I ordered 2 new rear because they were wore down over 1/2 inch in diameter. I ordered on Monday morning and they were here Wednesday afternoon! Thats a distance of over 1000 miles. You can't ask for much better service. I would order again. Thanks for the fast service! Purchased the tires a few weeks ago. AWESOME RESULTS! A big improvement over the stock tires. Have used them on the mountains trails in all types of conditions and they have performed great. The eight ply tire rides alot better than I had expected and grips like you can't believe. No dout I would buy these tires again. I’m loving my GBC Dirt Commanders! After one year of hard riding, not a single repair has been necessary to my Dirt Commanders. You do lose a bit of top end speed because of the big lugs, but the gain in traction is amazing! It’s the proverbial equivalent of climbing a wet grassy hill wearing leather sole dress shoes vs cleats. Having taken these tires on all six of the Hatfield McCoy Trails, I’d have to say that these tires are perfect for Appalachian trail riding, and even better at mountain climbing! I purchased a set of Dirt Commanders for my Polaris 850 to use in Northern Baja. The previous tires could not hold up to the terrain and were constantly flat. The DC,s have performed great. I have not had any flats in over 700 miles of use. Due to the terrain I have not noticed a stiffer ride, and on some of the beach runs I have exceeded 70 MPH, on the desert runs and throught the volcanic rock areas they have been sure footed and ignore on the thorns and stuff. Very happy with the quality so far - don’t really do a lot of mud riding - mainly around the farm. Best utv tires I've ever had. My husband and I are VERY impressed with the fast delivery of these tires. So impressed we plan to order two more very soon. Ordering was easy as 1, 2, 3! We really like that the tires are 8-ply. Preparing for winter (busy cutting firewood) has delayed getting the tires mounted, but will be done soon as it's nearly time to mount the snow plowing blade on our UTV. Good product at a reasonable price. Bad man on campus with this tire. not to big. Nice tires pull like a monster!!! If these ever wear out, I'll replace with the same. Love the tires, great tread ride idea great! But they are a bit on the small side, my 26" tall we're on 24" even with 1" nobs...but pure offroad came through for me had them at my door the next day...great work POR!!! Picked up a set of 25" DC's. Took them on a 57mi ATV Rally in Hancock NY which covered rocks, mud, dirt, water, creek beds, grass, steep rock ledged hillclimbs, roads, everything but sand. They performed flawlessly!! They seem glued to the trail on off-cambers and clean out very well in mud. There is no "perfect" tire on the market....but these are VERY close!!! I'd reccomend to ANYONE!!! Best tire I've used so far on our 850 acre ranch! A: The Dirt Commanders are about 1/2 inch short of what they are advertised. A 29 inch will measure about 28.5 inches tall and the 30 inch will measure 29.5. The height can also vary depending on the width of rim you mount them on. The wider the rim the shorter your tire will be. Q: How long to get 2 dirt commander 27 11 14 too. Zip code 61914 central il. ? A: 2-3 days for delivery. Q: where can i find the rims that the tire is on? Do they make them? A: That rim has been discontinued, they are no longer available. Q: Are the dirt commander tires DOT approved? Q: I have a pioneer 1000 EPS. The stock wheels are 27x9x12 and 27x11x12. Will the 28x10x12 fit ok on both front and rear? Thanks!